It's been a busy week at Disley Primary School this last week! 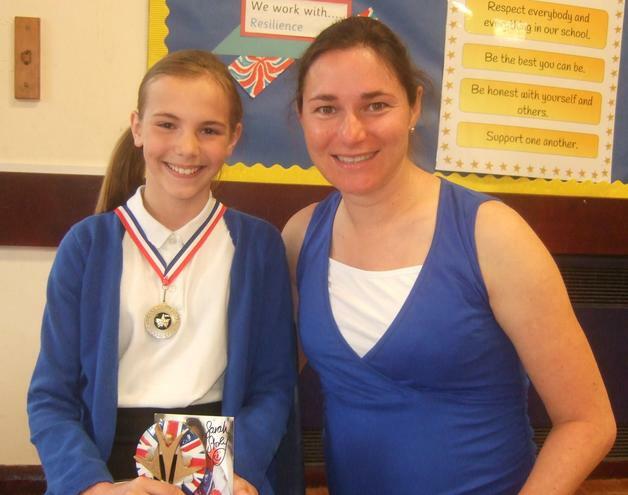 We already know that our children are wonderfully talented and hard-working, but this showed this week when we started by presenting Jade Berry in Year 6 with our Dame Sarah Storey Award. Jade was chosen because of her determination to do well and never give up. She has worked hard all the time she has been at Disley school and always with a smile on her face. She is also a valued member of our Safe at School (SAS) Squad, helping all the children to stay safe. Well done Jade! We are very proud of you. Last week we held our Musical Extravaganza week. This is a chance to show off our children's musical talents. They practise hard behind the scenes all year and then - WOW! - we see how good they are when they perform in front of family and friends. We have children who play guitar, violin, recorder, piano,drums and brass. The concerts took place over the week. Thanks to all the parents who came along to support the children.